In France, recently, a group of intellectuals published a manifesto asking the Islamic world to eliminate anti-Semitic verses from the Koran. The initiative followed the murder of an 85-year-old Holocaust survivor, Mireille Knoll. The Turkish Council of Higher Education responded with a moratorium on establishing additional departments of French studies in Turkey. There are no guarantees that curiosity, self-doubt and free speech will create a more liberal society. But closed-mindedness and censorship, in the Middle East, Europe or anywhere, are not likely to, either. In the West, books and documentaries have been cancelled. In France, recently, a group of intellectuals published a manifesto asking the Islamic world to eliminate anti-Semitic verses from the Koran. The initiative followed the murder of an 85-year-old Holocaust survivor, Mireille Knoll. The Turkish Council of Higher Education responded with a moratorium on establishing additional departments of French studies in Turkey. For years, under the presidency of Recep Tayyip Erdogan, Turkish culture has been closing in on itself. "Going into a Turkish bookstore is like walking into a psychiatric ward," according to the British journalist Gareth Jenkins in The New Yorker. Turkey sentenced journalists and writers to prison, and put publishers of foreign novels, such as its most famous translator, Necmiye Alpay, on trial. The problem, however, may not be just Turkish, but, as the author Robert R. Reilly called it, "the closing of the Muslim mind". "The Arab world is now publishing only between 15,000 and 18,000 books annually, as many as Penguin Random House produces on its own. Egypt was once the largest producer of books with an output between 7,000 and 9,000 per year. Although its output was previously on the rise, it dropped by a whopping 70 percent after the 2011 revolution, and as of 2016 was only 'showing signs of recovery'. Greece translates five times as many books into Greek as all 22 Arab nations combined". According to a report given at the Frankfurt Book Fair, "the Arab world, with its population of over 362 million people in 2012" produced about the same "number of books produced in countries like Romania (with a population of 21.3 million in 2012) and Ukraine (population 45.6 million) in 2012". Another report by the RAND center also notes that "the number of public libraries in Egypt is about a tenth of those in Germany, which has a comparable population". The Economist noted that Arab publishing industry is in "troubled". Many great writers in Islam are now foreigners at home. Salman Rushdie, targeted by an Iranian fatwa, has become "the disappeared". 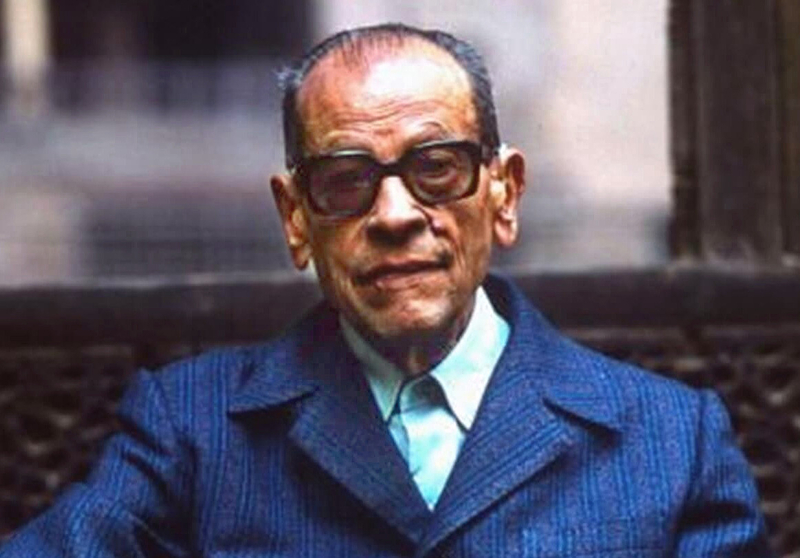 At the age of 82, Naguib Mahfouz, the only Egyptian Nobel Laureate for Literature, was stabbed nearly to death by an Islamist. The Syrian poet Adonis exiled himself to Paris. The most celebrated Algerian writers, such as Kamel Daoud and Boualem Sansal, are treated as pariahs and threatened. Orhan Pamuk, the greatest Turkish writer, was also persecuted. The Lebanese Nobel laureate Amin Maalouf lives in France. And many writers in Bangladesh have been hacked to death. Iran is experiencing a devastating "brain drain" to the West. And images of book-burnings have become sadly popular in the Muslim world, from the historic books burned at the Cairo Institute to ISIS's destruction at the Mosul library. Unfortunately, Islam's cultural changes -- as attested to by the lack of producing books and translations -- may have severe consequences for the radicalization of the new generations. There are no guarantees that curiosity, self-doubt and freedom of speech will create a more liberal society. But closed-mindedness and censorship, in the Middle East, Europe or anywhere, are not likely to, either. There is an Arabic saying: "Books are written in Cairo, printed in Beirut and read in Baghdad". Is this same cultural malaise being adopted by the West? The conviction that all that is to be known is already recorded in the Koran, What is there to know or waste time on "New Knowledge"
The misake liberal lefty socialists have made ever since the Soviets sold weapons to Nasser has been they believe they have a socialist like kinship with Islam and it has made them totally ignorant of reality. Like it or not this is the real face of Islam. It has always been intolerant of criticism and ridicule and it has nothing to do with poverty or social justice and the short period of Euro colonial "oppression versus the centuries of Ottoman stagnation and decadence. That is just a convenient excuse to commit outrages on peoples more successful and progressive than you are because they are not strangled by archaic religious practices in desperate need of reforms. And it may already be too late for most of them to achieve even the most mundane awareness of their universal humanity good and bad. The traits of critical thinking, literary analysis and western logic are completely foreign to followers of Islam. The Islamic religion is not one that lends itself to this type of rational thought or intellectual discussion. And it is also resistant to reform. These facts make it virtually impossible for any meaningful dialogue to occur. And so there can never be any level of syncretism between western religion and Islam. And that is probably a good thing. No, they are not a literary bunch. Most are uneducated and only know the Koran. Anything else would require thought, which is the opposite of rote. How can the Arab world be expected to publish more than it is, after all the majority attend Madras schools where only the Quran is thought. The people just don't know how to read or write, they just prefer to memorize and memory is difficult to transmit in written form, it can only be transmitted by reciting from their minds. Wait - who wants a "more liberal society," anyway?! The freedom to be left alone is the most basic of all status-quo Conservative values: The Golden Rule of Law! Every time you avoid the principle of freedom, you endorse symptoms of slavery! No man is an island. We all interact. You must depend on people to get through life, so you cannot be left alone for long. We certainly don't need a more liberal society as you said, but we are still interdependent. No, we're really not all interdependent. Ever watch any survivalist shows on TV? Any of those DIY build your own home shows? Today anyone can be self-sufficient! Same thing is happening in 90% of US universities. The islamist mind has always been closed and cultural Marxists like Theresa May and Angela Merkel are trying to catch up. I believe this has happened before throughout history, and is an ominous sign that total war will soon have to be waged against a blockheaded islam. An Islamic woman wrote an article which stated that other religions that Judaism and Christianity were able to reform because their books were written by prophets and apostles but the Koran is purported to be the word of god and no man can change the word of god. I also asked a Pakistani young man I met in a chat room could Islam ever modernize and he who was quite Liberal played guitar and liked Western music replied, "never." A good observation on your part, Eugene. Qur'an was composed by only one man, Muhammed; whereas the books of the Bible were composed by a couple dozen witnesses. The writers of all these books, however, claimed to be, and are credited as, speaking the absolute truth of an absolute God. The books of the Bible are in harmony with one another; but there is discord between them and Qur'an. Improvement to Islamic society will not come from altering Qur'an, nor by deluging Muslims with a multitude of literature. They should thoroughly study Qur'an, because their culture is rooted in it. They should also, however, throughly study the Bible, so they can get a real insight into the culture of their neighbors. Then, if they want a really rich cultural experience, they should read classical works from all cultures. It is those classical works, that unify people around the world and knit them into peoples and nations. The West produces myriads of books, from pulp fiction to "how-to" books to esoteric scientific papers. These might help one understand how a computer is made, what thoughts go through our leaders' minds, etc. ; but they do not bring people together; and it is the latter that I would call "cultural richness". Your Pakistani acquaintance was actually speaking quite reasonably. "Islam" cannot modernize. Muslims can, though; and I expect that they will; and if the "modernity" that Western youth have degenerated into is any sort of guide, I do not look forward to their modernization. I would rather see them firmly grounded in the roots of their society and others'. 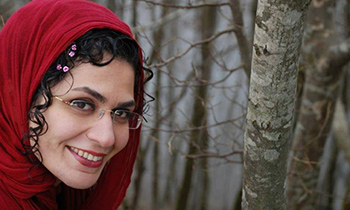 I do know an Iranian who is translating American literature into Farsi. He translated Walden and is now working on Emerson but he is doing it against the grain of his government and at great risk to him and his family. The Islamic fundamentalists think that the Koran is all you need for learning. With the majority of Americans no longer reading books at all let alone the classics it is very doubtful Islamic cultures will start doing it only individuals like my friend Ali who by the way was invited to lecture at the Thoreau Society and did but now will most likely not be able to receive another visa for another visit he desires. I used to teach among other subjects art history and I always showed architecture and sculpture at Palmyra so when it was reduced to rubble by ISIS I was deeply disturbed. What next? They pyramids remodeled into Mosques? My exposure to Thoreau and Emerson, was from sitting in on one of my wife's American Literature classes. I came away with the idea, that the two of them represent 19th century American escapism. Thoreau experimented with "going back to the land", Hippie-style; and Emerson's wife fed both men because they were unable to fend for themselves. Outside of the Bible, the best selling Western authors were Cervantes (Don Quixote), C. Dickens, JRR Tolkien, de Saint-Exuprey (the Little Prince), and of course, JK Rowling and the Harry potter series. All of these are fictional, escapist literature. I do not consider them inspirations for serious social change. Both Qur'an and the Bible, however, are: They can shape and have shaped entire civilizations. Other works that have done this, to a lesser degree, are ancient classics such as the works of Plato and Aristotle, and some Oriental literature. Some history books, such as Herodotus and Gibbons' "Decline and Fall of the Roman Empire", can also help anchor the reader in the world around him. If one desires real CHANGE for the good, toward an orderly, functioning society that benefits their fellow man, these are probably the books that Arabs, Iranians and Turks ought to read. Shutting down education in Islam for everything but the Quran leaves Muslims without a mind to think for themselves. This brainwashing, begun 1400 years ago, is alive and well today. There is no possibility of assimilation of Muslims in and to the West. One reason for the lack of interest in books in Islam could be that the Muslims believe everything they need to know is found in the Quran. So what need is there for other books or other studies? My life is enriched by reading your postings. "Ignorance is strength. " We really can't be having all these loose cannon running around, contradicting the Supreme Truth, can we ? Sounds like our extreme Left, or the ancient / medieval Church's rulings on heresy. But the process has begun here, with publishers too scared to produce certain books --notably right of centre or critical of Islam-- "the Charlie Hebdo effect". And all our enlightenment will soon come to nought, as our cultures regress to assimilate with Islam. Thank you for this excellent article. Informative and intelligent.